Data centers are a key component of modern companies. Senior management in these enterprises assume that future IT related changes demanded by the business can be accommodated within their data center infrastructures. Alas, this demand for operational flexibility introduces risks (and costs) into the data center itself and hence to the business as a whole. 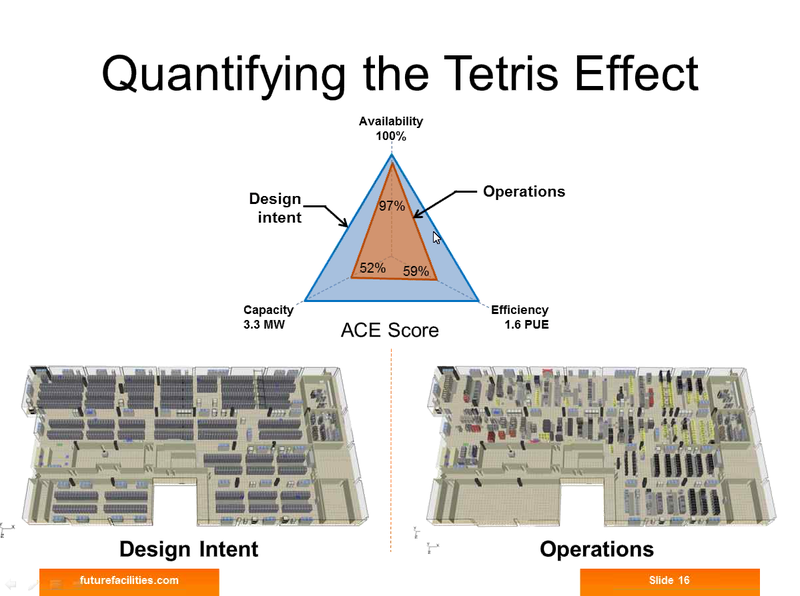 Unfortunately, most companies don’t systematically assess such risks inside their data centers, nor can best practices and rules of thumb adequately address them. 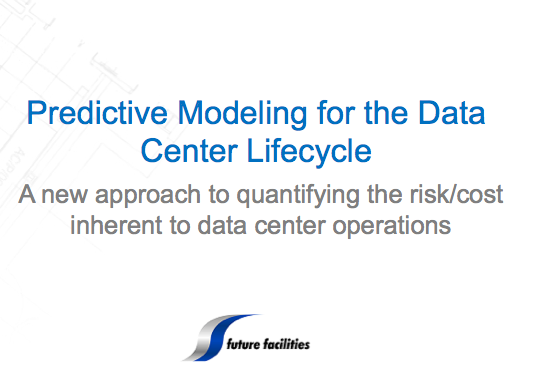 This presentation is about computer modeling – simulation of the data center to analyze and quantify the risks of operational flexibility within data centers, with the goal of moving IT operations from being a cost center to becoming a cost-reducing profit center. The approach will be illustrated with a two year case study from a global financial institution. This entry was posted in Data Center DCIM Datacenter Datacenters Datacentre and tagged 6sigmaDC, 6SigmaFM, 6SigmaRoom, ACE Assessment, ACE Case Study, ACE Data Center Performance Score, brighttalk, CFD, computational fluid dynamics, computer modeling, Continuous Modeling for DCIM, data center, data center infrastructure management, data center lifecycle, data center management, data center operations, data center performance, Datacenter, datacenter lifecycle, DCIM, future facilities, predictive modeling, sherman ikemoto, simulation. Bookmark the permalink.